Utilise Filament LED technology and a full-glass body to create a decorative look. The flame-like shape and warm light creates a pleasing candle-like effect. Filament technology with super-wide 300 degree beam angle. A++ Energy rating ensures low energy consumption, but with high light output. 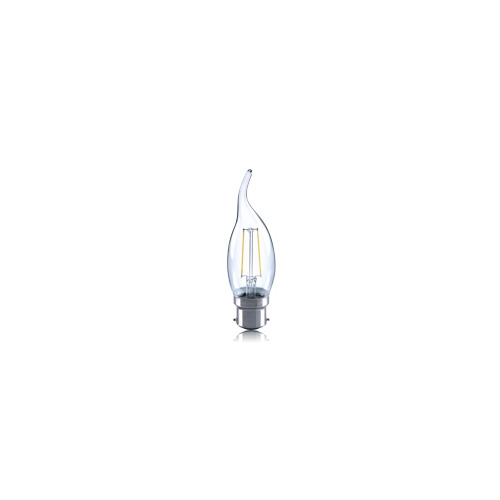 These retrofit lamps are highly efficient and are an ideal replacement for traditional lamps.